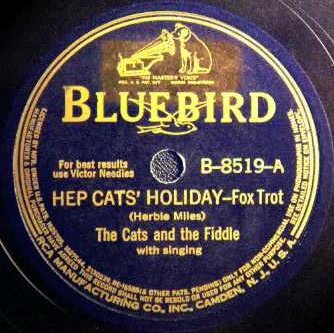 Today's selection comes from the Bluebird label, some releases from 1940. It's good for some real juicy stories - there's Sindey Bechet and Lead Belly, both got in trouble with the law more than once. For that, Lead Belly even made it to a three-page article in Life magazine, complete with a full-page color picture - pretty rare in 1937. But also Alberta Hunter makes for a nice bio - and some wonderful Youtube-clips of the elderly lady doing some of the dirty blues. As I read in one of her biographies: at her old age, she doesn't belt the blues, she insinuates them.